The topic of purpose in art has been a contentious one in recent decades. Much like philosophy, for many centuries art’s primary role was to enrich the human experience and help to answer the most profound of human concerns: how to properly live. In those times the issue was not so much art’s purpose, but rather who got to decide what a worthwhile human experience was, resulting in long, dark periods where art (and philosophy) focused on religious iconography and stories from various scriptures. Things began to change during the Renaissance, when artists were afforded greater freedoms, though still focused on religious themes. In that sense, some consider the Renaissance not so much a period of important art, but as starting the trend for artists’ claim of yet greater freedoms to come, leading up to what we now term Modern Art. Marked by increasing levels of abstraction and a no-holds-barred attitude towards the choice of subject matter, the advent of modern art not only liberated artists from constraints of style and subject, but also marked numerous important philosophical shifts. Among these is the concept that art did not need a purpose, any purpose. As with any ideology, some embraced these new freedoms with the intent of conveying more nuanced, personal and even defiant commentary on their work, while others became zealots. To some, the idea that ‘anything goes’ unfortunately led to an attitude of ‘if anything goes, may as well go as far to the extreme as possible,’ resulting in some art whose only value is shock value. Musician Brian Eno succinctly explains why shock value ultimately is self-defeating: “Aggressive music can only shock you once. Afterwards its impact declines. It's inevitable.” And the same is true for any art. Repeated shocks ultimately lead to desensitization, so even things that deserve to be shocking no longer arouse emotional responses. This is sad for art, and sadder for humanity. These thoughts came to me as I perused a self-ascribed ‘fine art’ photography site. Despite my effort to keep an open mind, to give all art the benefit of the doubt and all artists the respect of trying to understand their work, I must admit that many of the images had me scratching my head. Some were obscure but aesthetically appealing, others were yet more variations on the ‘human condition’ motif, and some were obviously made to be meaningless (or, as some artists like to quip, leaving the meaning up to the viewer). Think what you will about such works, even the most tolerant and enlightened of critics will surely agree that, importance aside, there is one thing they cannot deliver: they may shock (for whatever it is still worth) but they cannot elicit awe, instil reverence or foster hope – things deliberately eliminated from modern art because of their former use to glorify religious and other themes. I think that this is lamentable. There are things I experience when looking at a Bierstadt painting that I never get from a Mondrian, things I feel when looking at an Ansel Adams print that I can’t get from a Gursky. This is not to say that any of these artists or their works are more or less worthy than others, just that if we sacrifice awe we will also have lost something intrinsically human, without which our very notion of life may be diminished. The real issue is not that some art seeks to explore things beyond aesthetics; in fact I think it is one of the most important things for art to do. No, the real issue is that such art is no longer considered as ‘another’ kind of important art, but that the art world seems to pursue it as a substitute for the kind of art that does seek to emotionally elevate its viewers. Similarly, those who shun abstraction and non-aesthetic art are equally responsible for handicapping art as a whole. The either/or approach is the attitude of fundamentalists. Anyone concerned with art’s role in shaping individuals and societies must transcend it, for their own sake and for the sake of all art. 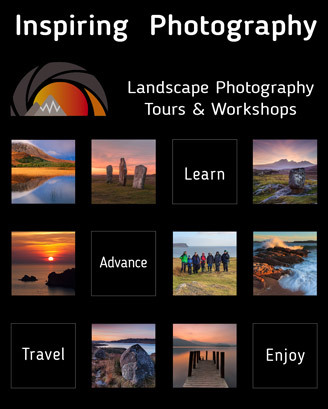 Read this and many more articles in High Definition inside issue 38 of Landscape Photography Magazine.